Après une semaine incroyable, nos étudiants du PPV 2018 ont fait ses adieux et sont partis tôt ce matin. Pour le dernier publication de ce programme nous avons demandé à nos nouveaux ambassadeurs du Prix du Pèlerinage de Vimy de décrire leur expérience en une seule ligne. Amy: Memorable, thought-provoking, emotional, connecting, and life changing are all words that best describe this experience! Rohan: A beautiful experience that I will forever cherish! Léa: Ce programme m’a tellement appris. 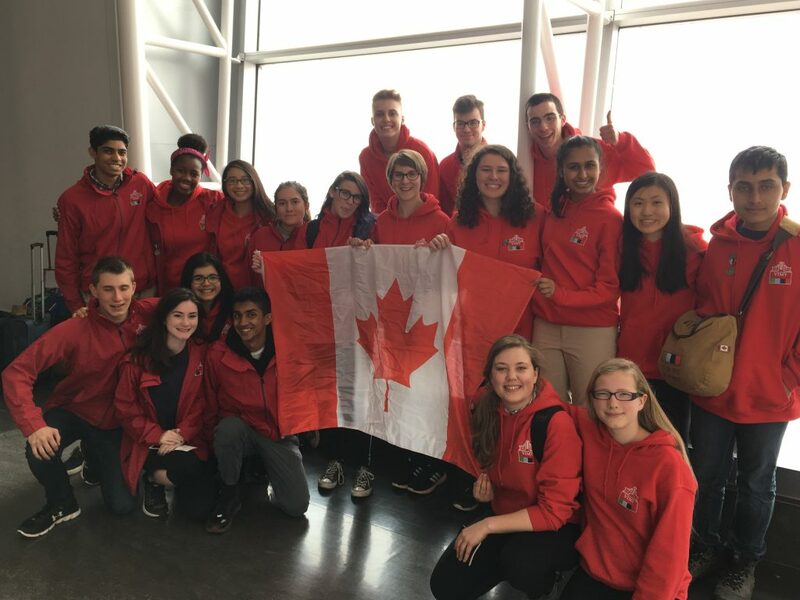 Sarah: I came into this program expecting to learn more about the First World War, but I emerged with tons of knowledge about the war, and Canada, 19 new friends, and memories that will last my entire life. Damien: Cette experience m’a permis de vraiment comprendre la guerre et ses consequences, à la fois sur les gens et sur l’environment. Stephanie: From the museums to the cemeteries and memorials, I learned more about the First World War and learned to think critically, more than I ever could have imagined. Christophe: C’était une experience qui m’a ouvert les yeux à la puissance de l’histoire sur les victimes du passé, les apprenants du present et les leaders du future. Thomas: C’est avec le coeur lourd que je quitte le vieu continent, mais sans regret d’avoir participé à ce programme extraordinaire. Julia: This was a life-changing experience for me- I will carry the stories I’ve learned close to my heart for the rest of my life. Osose: An amazing program that not many can experience and not all would appreciate; I’m so grateful. Katie: This has been a jam-packed week that broadened my perspectives in thinking, strengthened my appreciation for history, and for those who it was a reality. Kiana: I couldn’t have been more honoured to be chosen; I am so proud to be Canadian. Montaña: I’m sad to go home but happy to have done the program. Lloyd: I walk away from this program today with a greater appreciation for the Canadian forces, our country, and the blessing that is life itself. Nupur: This experience has taught me a new dimension of what it means to remember and I will forever carry my experience of honouring those of the First World War. Laurissa: This program has been an amazing experience for me; thanks to the Vimy Foundation, I had the opportunity to travel to the Vimy Memorial with students who share the same interests as me. Jeriann: I will never forget the lessons I have learned, the amazing, once-in-a-lifetime opportunities I have had, and the emotional moments I have shared with all of my new friends from across the country. Shakil: Partaking in this pilgrimage has been one of the most extraordinary experiences of my life. Markus: Don’t be sad that it’s over, be glad that it happened. Bethany: I am very sure that I will never be the same or feel the same way as I did before the program, but in an amazing, wonderful, life-changing way.